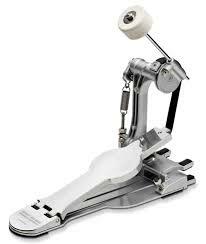 I’ve been messing with different bass drum pedals lately. I know. So what else is new, right? Any drummer obsessed with sound and technique is always trying different gear. It’s a never-ending journey. This is one of the reasons I am glad I don’t endorse a ton of drum related products. So with my bass drum technique, I’ve been messing with four pedals lately. When I originally wrote about the Jojo pedal, I was over the moon. You can read that article HERE. I loved it. At the time I was deeply into playing jazz and only jazz. I was trying to play mostly heel down. The pedal was great for that. Feathering the bass drum? The Jojo pedal is amazing for that. Heel down doubles? Not bad at all. Later, I started having some reservations because I began playing more heavy rock. The Perfect Balance pedal is not intended for that. It’s not built for smashing. For that heavy style of louder rock (think Dave Grohl circa Nirvana), my DW 5000 is ideal. Chain drive pedals that are supported by thick metal hardware are intended for that purpose. 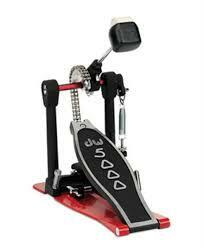 When I tried the Jojo pedal in that musical situation I was disappointed. But that should not be a surprise. It just didn’t feel right for that application, but I may revisit this again. Lately, a larger portion of my playing time is devoted music where my playing is more subtle. I’m working on a project that requires a lighter touch and more technique. It’s more funk, more progressive, more ghost notes, more double strokes, less pounding, more caressing. So, I revisited the Jojo pedal. I’m glad I did. The pedal really feels great. In particular, fast doubles are very clean and consistent. There are some ideas i’m using that require two 32nd notes in a row on the bass drum at 100 to 116 bpm, and this pedal makes it feel almost effortless. Now, let me tell you a little about the Yamaha Direct Drive and the older strap based FP 6110. The Direct Drive is a pretty good pedal. I like the feel. But for fast doubles, the pedal seems inadequate. I use a sliding motion that comes from a toe-heel movement (think Gadd and Weckl’s motion). 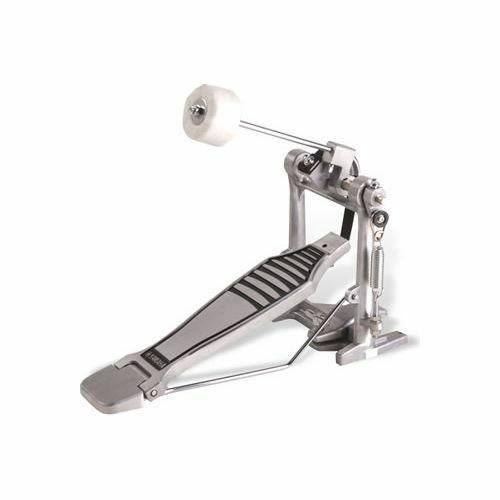 At higher speeds, with a greater foot slide up the pedal, the entire pedal would just move off of the hoop of the bass drum. After a while, the pedal was almost falling off the drum completely. Very surprising that this pedal wouldn’t hold up under this motion. The Jojo pedal had no problem with this at all. 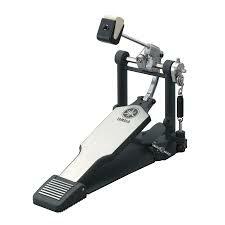 The old Yamaha strap pedal was great. It actually felt the closest to the Jojo pedal of any of these. It’s a decidedly “old school” pedal. Not a lot of extra metal. It is definitely not a heavy-duty type of pedal. But it feels great, and fast doubles are pretty consistent. A close second to the Perfect Balance. But overall, I’m back in love with the Perfect Balance. I may be sticking with this pedal for a while. Try it. It’s not for your metal band; but that’s OK. There are other pedals for that. If you want a pedal that reacts to your foot technique the way sticks react to your hand technique, this is a pedal you need to try. Plus, it really is the coolest looking pedal I’ve ever seen.